I have been a woman for close to thirty years (I’m arguing that my ‘womanhood’ kicked off at about 14 years old along with my periods). And I have been working really closely with women’s bodies at all stages of womanhood as a Personal Trainer and a Coach, for getting close to seven of those years. In that time I have trained women who are literally days pregnant, through to 40+ weeks pregnant. Six weeks postpartum right through to 30+ years postpartum. Women who are bang-smack in their child-bearing years to women who are fully post-menopausal. They are all shapes and sizes, have a multitude of varying health issues, physical and emotional hang-ups, plus, of course, a totally unique set of needs and wants. But the one thing that they have all had in common is that they are women. I have worked REALLY hard to be a specialist at what I do and I’ve learned a thing or two along the way and so I’ve decided to spend a blog entirely dedicated to things that I wish you knew about working out as a woman, or indeed if you are a fitness professional, training women. Anatomically and physiologically women are not the same as men. We aren’t built the same way (see ‘three holes’, below). We also have menstrual cycles for a really big chunk of our life, which affect our hormone levels. And fluctuating hormones aren’t all about whether we’re in a bad mood or not. (see ‘periodisation for periods’, below). Layered on top of that, we grow and evolve over a lifespan that is directly affected by our life-cycle of womanhood. 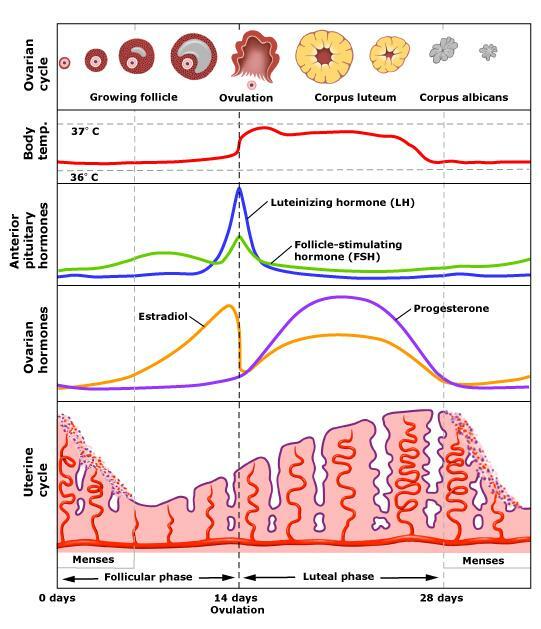 We go through puberty, sometimes into motherhood, via pregnancy, and then peri-menopause, menopause and post-menopause (see ‘cycles within cycles’, below). Just because women are different doesn’t mean that we can’t train hard. It doesn’t mean we can’t lift weights or do unassisted pull-ups. We just need to do it differently. So, let’s look at the biggest differences, and how we need to take them into consideration when we are working out, or when we’re training other women. This one is pretty obvious (hopefully) but you’d be surprised by how many women don’t know that they have three holes “down there”. In case you were wondering, men only have two. I was doing some video work a while back and instead of putting it all into words, I decided to share it with you. It’s very rough, but I’m working on the concept of getting stuff out there even if it’s not quite perfect, so I know you’ll forgive me. And anyway, it tells it exactly how it is. Having three holes as opposed to two makes a huge difference from a training perspective because anatomically, along with the extra hole, comes a whole different structure to the base of our core. We have this complex arrangement of pelvic floor muscles that need to be considered when lifting heavy load, working in wide stances, jumping and sometimes even when doing single leg work. Considered, even if there isn’t any history of pelvic floor weakness, because we now know that inappropriate training choices alone are enough to cause prolapse of the pelvic floor organs – even in women who have never been pregnant. And I really do mean ‘considered’. I’m not saying it means women can’t lift heavy weights safely and without causing damage to their pelvic floor, I am saying that we need to look at that alongside a whole host of other things such as what this woman does for a living, whether she has had children, what her exercise goals and passions are and then make intelligent training selections with the extra anatomical awareness in mind. So we have periods. Big deal. But did you know that it actually makes a huge difference from a training perspective? Did you know that at different points in your cycle you are more likely to feel good lifting heavy weights, and in fact might find it easier and even lift heavier than you will at other times in your cycle? During the child-bearing years, the female body is designed to, well, bear children. And our hormones reflect it. We have ebbs and flows of both oestrogen and progesterone – they help us get ready every month to possibly make a baby, but they also have other effects. There’s a reason why you don’t feel like working out so hard after you’ve ovulated (technical term: luteal phase) and it’s because your body is wanting you to go easy incase you just started making a baby. There is a reason I ask women where they are in their cycle before I hit them with a big session. If they tell me they’re about to start their period, I have a plan b. I also encourage them to understand their own bodies in detail because although all the science in the world is great, we should also know our cycle’s own unique idiosyncrasies. So we cycle every month, but we also have some very distinct cycles that we go through over our whole lives. Again hormones play a huge part in this and we most definitely differ from men in this regard. Regardless of whether or not we ever do the motherhood phase, all women will eventually go through the stages of peri-menopause, menopause and post-menopause. These three things alone have massive implications on the type of workouts that women should be doing during these distinct phases. It is much harder for women to maintain their strength post-menopausally so you really want to maximise any gains before that time. Before presuming that middle-aged women don’t or can’t lift weights it’s important to have this grounding – you need to know why your body is behaving the way it is and how to work with it, not against it. Did you know that women’s bodies are better at working out for longer than a man’s body? We are designed for endurance, we are designed to keep going longer and that can be used to our training advantage. We also store and burn carbohydrates and fat differently to men. From an evolutionary perspective it is our job to grow babies and keep them alive – so we have extra fat stores to ensure we can do it (and survive a possible famine). I would be the very last person to ever claim that women can’t be as strong or capable as men. This article isn’t about that. It’s about emphasising our differences so that we can be working out in a way that works for us, not against us. Most “exercise” has been designed by men on and for men’s bodies. Even yoga and pilates, which is probably two of the most female-dominated sessions in any gym in Australia were created by men with male anatomy in mind. This is where feminism has kind of gone a bit off the rails for me. I don’t need to compete against men. I’m not a man. Personally, I don’t need to flip tyres or shake ropes because it doesn’t do anything special for my life that I can’t do in a more relevant way. You see I exercise for my body. For my needs. And I do the same for my clients. 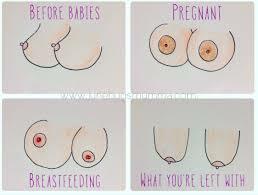 Know your body. Know your client’s body. Know your needs. Know your clients needs. Thanks for this article, I appreciate someone acknowledging these differences. I’m a female distance runner and experienced amehnoria for almost all of my highly competitive (16 to 25 yrs old) career. Now that I’m in my 40s my body has a mind of its own and seems much more hormonally resilient. Training seems to not impact my menstrual cycle at all and it even seems heavier when I am training harder. Have you had any experience with this? I sometimes think it is because my metabolism is higher with more activity, but this is just my own theory. Thanks! Hi Kris, I certainly feel personally and anecdotally that our late 30’s/early 40’s often see a hormonal change that kicks in with perimenopause. 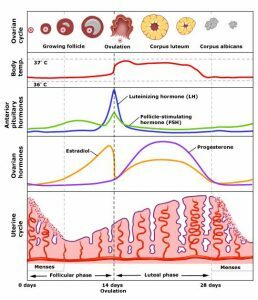 Cycles often shorten by a day or two, bleeding can be heavier and often our bodies call out for greater attention to rest more during our period. The biggest thing (and I love that you’re all over this!) is that you know your own cycle, in relation to your training efforts and general lifestyle. It’s when we don’t have that awareness, and therefore don’t recognise when we have left our “normal” that problems can really kick off!